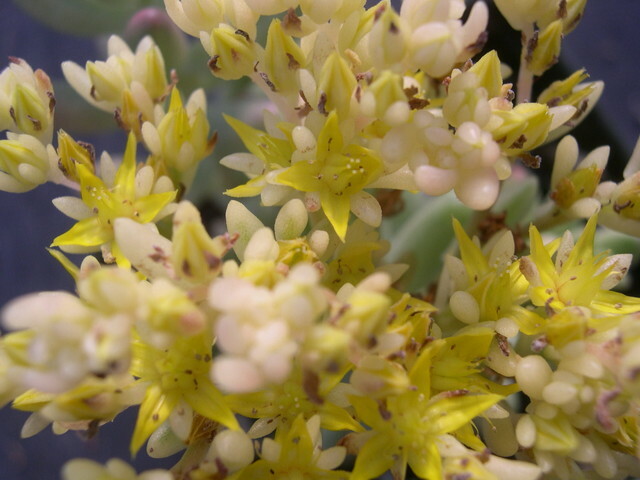 This is an attractive chimera of the extremely popular Sedum rubrotinctum. At has a nice pastel pearly-pink color to its succulent jelly bean-shaped leaves. Flowers are a paler shade of yellow than the species. Makes a wonderful houseplant for a sunny window. Go light on the water.